Beer has so many different shades that it's enough make your head spin before you even take a sip. 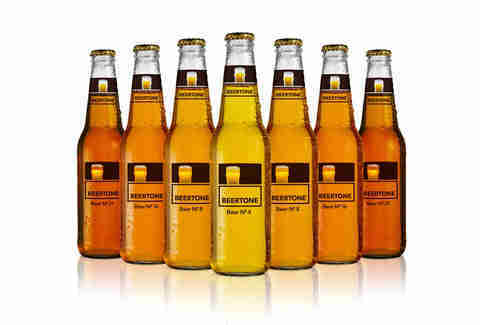 Here to take on the respectable and noble challenge of helping you identify a brew based solely on color is the BeerTone. 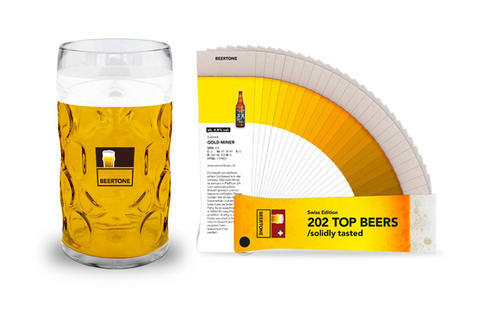 Designed to look like a paint palette and featuring 202 of the world's top beers, the BeerTone guide provides you with eight different key points of information for each beer listed. Information includes the beer's alcohol content, the brewery, the beer's name, and its color information. Be sure to whip it out the next time you're doing home renovations and request a soft Budweiser yellow.